Yamaha is continuing a move into the landscape market that started with a partnership with Gravely, announced in October. Yamaha Motor Corp. USA’s Outdoor Power Equipment division acquired Subaru Industrial Power Products. Terms of the deal were not disclosed. This is Yamaha’s second big move into the lawn and landscape market. In October, Yamaha released a new line of V-Twin EFI engines specifically designed for the lawn and garden market. 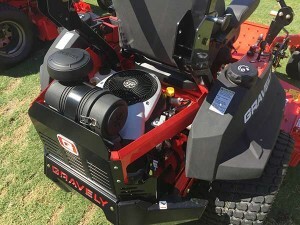 The MX775V-EFI, MX800V-EFI and MX825V-EFI were introduced as an option in Gravely’s Pro-Turn 200 and 400 lines of zero-turn mowers. The acquisition, which comes as the result of an agreement between parent companies Yamaha Motor Co. and Fuji Heavy Industries, both of Japan, is expected to be finalized by October. Fuji Heavy Industries will halt the production and sale of multipurpose engines at the end of September. Yamaha Motor Powered Products also will gain the technology for three products in the EH Series V-Twin Overhead Valve multi-purpose engine family: EH65, EH72 and EH65V. The engines are used in large generators and large mowing machinery.